In 2010, with Alex, we co-authored a book chapter entitled ’Aligning Profit and Purpose Through Business Model Innovation’ which provided managers and entrepreneurs a guide to designing innovative business models that can help them profitably improve the firm’s social and environmental footprint (see previous post). In her recent book, Laura Michelini (2012) has been inspired by the BMGEN canvas for developing her ’Social Business Model Framework’. The framework is used to identify the main characteristics of the business models of the so-called hybrid enterprises and to emphasize the main area where social innovation can be applied. Hybrid enterprises are those enterprises ’straddling the boundary between the for-profit business world and the social mission-driven public and not for profit organizations.’ She also suggests a typology of new business models for creating shared value. In her refinement of the canvas and in addition to the economic profit equation (revenue and costs), she adds the ’social profit equation’ (social profit and risks), as expressed by Muhammad Yunus et al. (2010) in their article explaining how to build social business models inspired by the Grameen experience. Hybridity is considered as an essential characteristic of the social enterprises as reminded by Wolfgang Grassl (2012) who proposes a design approach to hybridity. He refines the typology of business models, developed by the Kim Alter (2006). 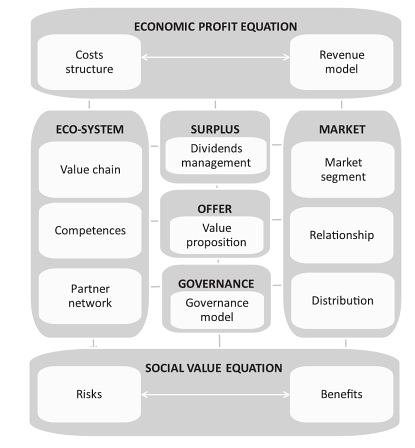 The Alter’s typology of social business models is based on the various combinations and the level of integration between the three main components, which are mission orientation, target population and nature of their markets. In other recents papers, several authors (Dacin, et al., 2011) (Trivedi, C. and Stokols, 2011) (Zahra et al., 2009) examine social entrepreneurship as an area of academic inquiry. The papers define social entrepreneurship, propose typologies, explain why scholars should take care about it, explore the research opportunities, and suggest to extend or challenge existing theoretical approaches to organizations. In a recent post (blog), Tom Graves suggests to keep the same structure as the BMGEN Canvas but adapt it for the somewhat different needs of a non-profit context (canvas). 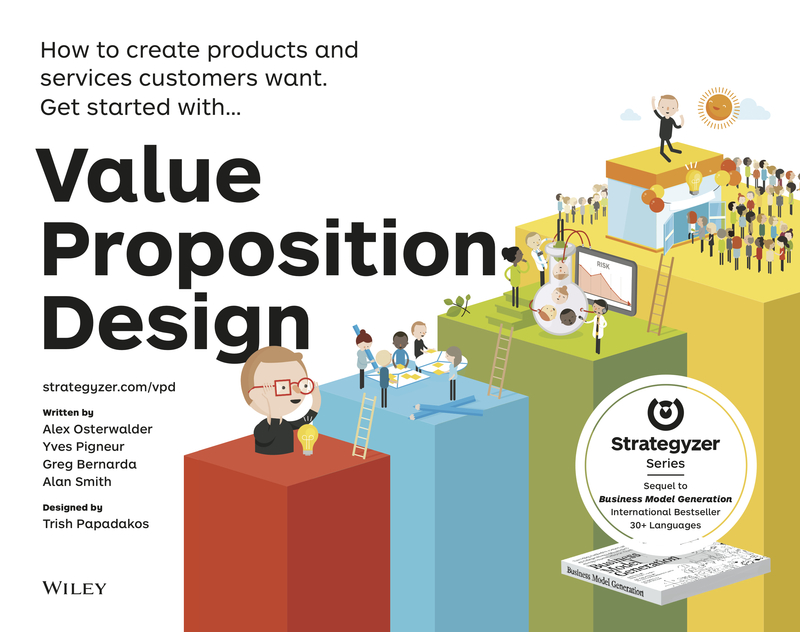 He changed 4 components: Customer Segments to Co-creators, Customer Relationships to Relations, Cost Structure to Value-streams (outlay and costs), and Revenue Streams to Value-streams (returns). This proposed extension has been generating a debate and several comments, among other by Michael Lachapelle, an early adopter of BMGEN. The LINK methodology (web) has also adopted the BMGEN canvas as a tool in the toolbox they propose for facilitating the ’grounded dialog between farmers, development and business actors and, as a result, a clearer idea on how business processes can support social development and vice versa’. 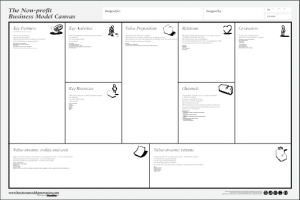 The authors consider the BMGEN canvas aims at providing a rapid picture of an organization’s business model for analysis, highlighting bottlenecks and (financial) imbalances, identifying areas for innovation or improvement, presenting complex business issues in an easy and accessible fashion, and Helping enhance business thinking at the farm level. (see previous post). 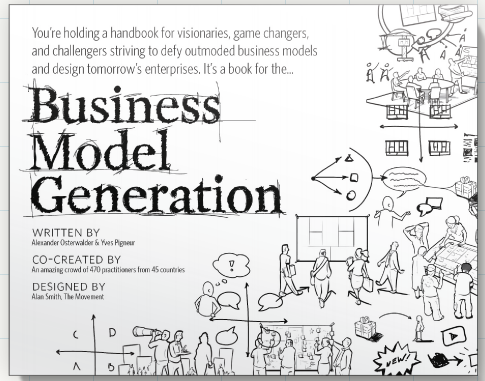 Another extension of BMGEN is proposed by Antony Upward in his Strongly Sustainable Business Model (SSBM) Canvas. It has been used for designing the business model of an NGO helping new families settle into Toronto (web). Dacin, T., Dacin, P., and Tracey, P. (2011). 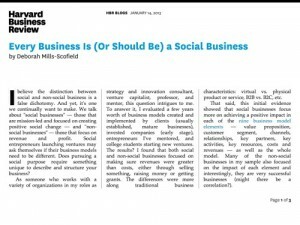 Social entrepreneurship: A critique and future directions. Organization Science, 22(5):1203’1213. Grassl, W. (2012). Business models of social enterprise: A design approach to hybridity. Journal of Entrepreneurship Perspectives, 1(1):37’60. Michelini, L. and Fiorentino, D. (2012). New business models for creating shared value. Social Responsibility Journal, 8(4):561 ’ 577. Trivedi, C. and Stokols, D. (2011). Social enterprises and corporate enterprises: Fundamental differences and defining features. The Journal of Entrepreneurship, 20(1):1’32. Yunus, M., Moingeon, B., and Lehmann-Ortega, L. (2010). Building social business models: Lessons from the grameen experience. Long Range Planning, 43:308’325. Zahra, S., Gedajlovic, E., Neubaum, D., and Shulman, J. (2009). A typology of social entrepreneurs: Motives, search processes and ethical challenges. Journal of Business Venturing, 24:519’ 532. Michelini, L. (2012b). Social Innovation and New Business Models – Creating Shared Value in Low-Income Markets. Springer Briefs in Business. Springer. Alter, S. (2006). 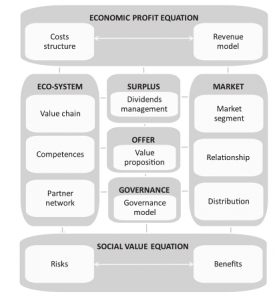 Social enterprise models and their mission and money relationship. In Nicholls, A., editor, Social Entrepreneurship: New Models of Sustainable Social Change, pages 205’232. Oxford University Press. This entry was posted on Friday, January 4th, 2013 at 8:32 am	and is filed under ideas. You can follow any responses to this entry through the RSS 2.0 feed. Both comments and pings are currently closed.